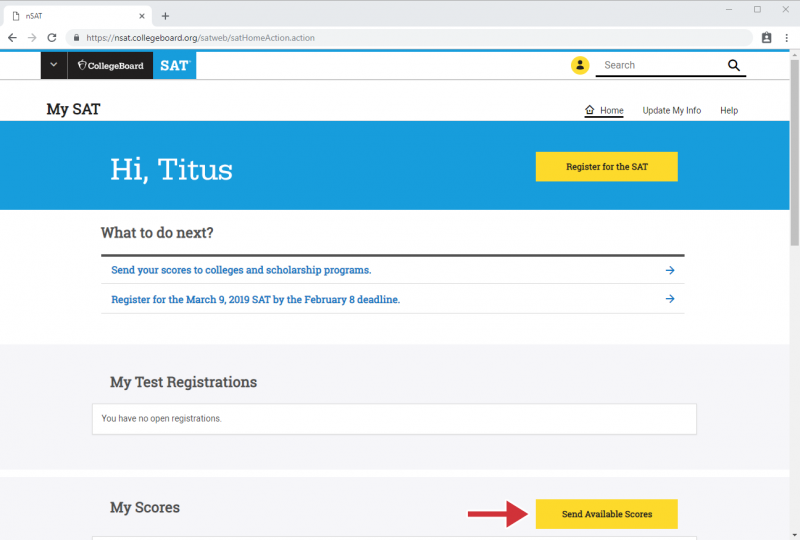 How to submit SAT scores to Stanislaus State through College Board. 1. 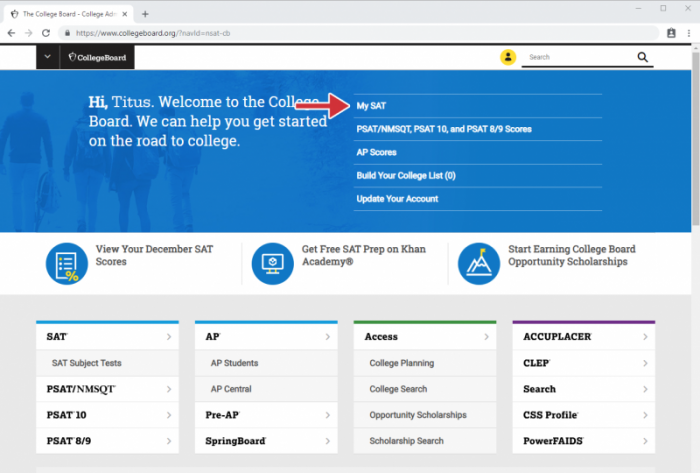 Log in to your Collegeboard account and click My SAT. 2. Click send available scores. 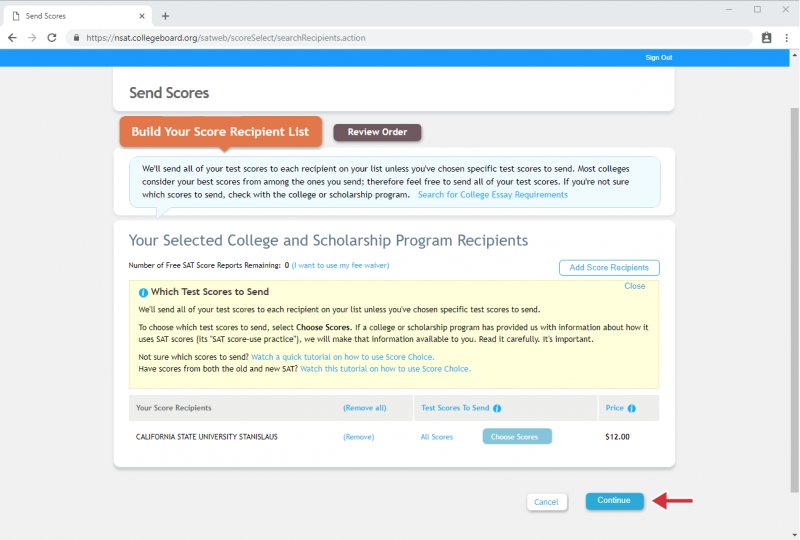 A pop-up window will come up, click send additional score reports. 3. In the pop-up window under name, type Stanislaus. Under state, select California. Click Search. 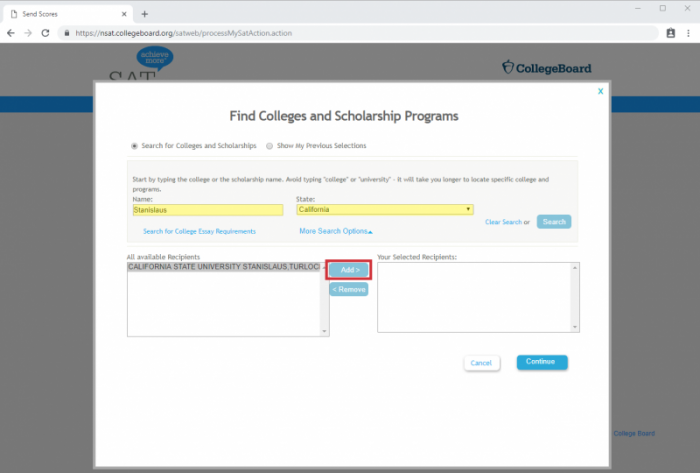 California State University Stanislaus should populate under all available recipients. Click Add to select followed by Continue. 4. You will be brought to a page to review what schools you are sending your scores to. After confirming your selection, click continue. 5. Review your order and click make payment. 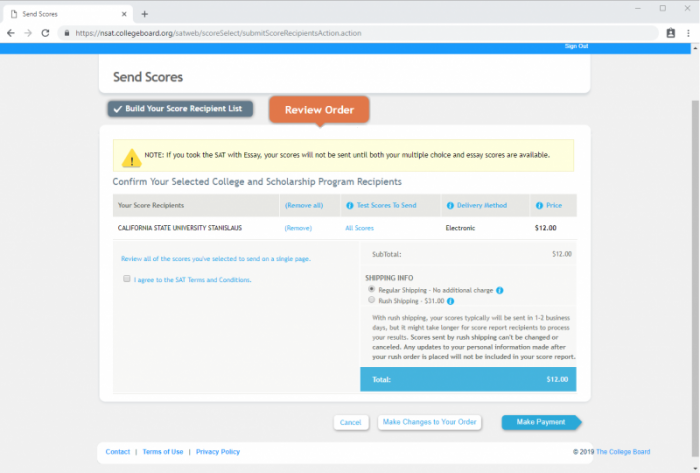 You will be taken to a screen where you can pay for sending your scores.